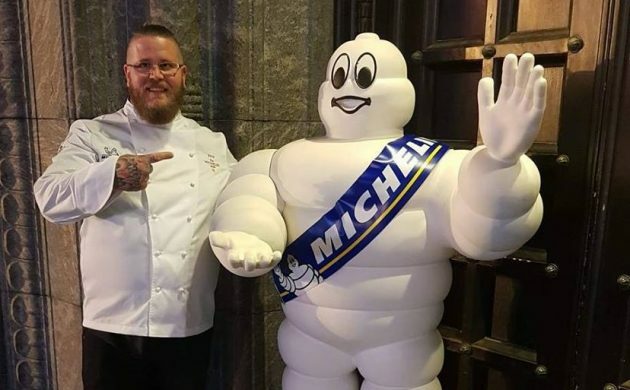 Those living in Denmark with a penchant for exquisite gastronomy can begin looking forward to new top-shelf dining experiences following the unveiling of the 2018 Michelin Nordic guide in Copenhagen yesterday evening. Denmark received two new Michelin-star restaurants as Jordnær in Gentofte and MeMu in Vejle were handed their first stars. Geranium, Denmark’s gastronomy lynchpin in the wake of Noma’s hiatus, maintained its three-star rating, while Kadeau in Copenhagen became the third two-star eatery in the country, joining AOC and Henne Kirkeby Kro. Denmark now has 30 stars across 26 restaurants, two more than last year, while Koks restaurant in the Faroe Islands also has one. But looking at proceedings from a Nordic perspective, Sweden was the big winner. The Swedes surpassed Denmark thanks to a big year and now have 32 stars spread across their restaurants – including their first three-star eatery Frantzén in Stockholm.